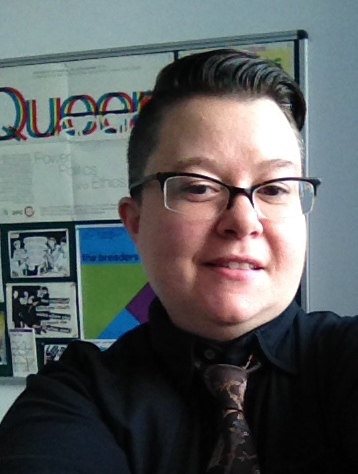 In the second of our new series where Westminster Sociology staff talk about what has inspired them and their work, we feature Dr Francis Ray White, who teaches feminist and queer theory, and is currently subject leader for the Sociology programme. I think I was interested in sociology before I knew that “sociology” existed. As a teenager I was obsessed with indie music (it was the 1990s! ), but as the scene became more and more laddish, and I found it more and more alienating I think it forced me to think about the kinds of power hierarchies, especially of gender and sexuality, that run through even supposedly alternative cultures. It seems so obvious now, but at the time it was a kind of epiphany. I eventually got over it by writing my PhD thesis about the NME. I’m still interested in gender and sexuality and how remarkably narrow ideas about these concepts shape so much of our lives. I’m also interested in the ways people go about challenging and resisting norms of gender – through feminist and queer politics and in their everyday practice. My other area of interest is in fat studies and particularly in how fat bodies are constructed as anti-social in contemporary discourses of ‘obesity’. My recent writing has been about the intersections between queer theory and fat studies scholarship, and the different approaches to the malleability of the body adopted by fat and transgender activists. A healthy disregard for disciplinary boundaries and the ability to cope with being simultaneously angry about almost everything and hopeful that things can change for the better. I think sociology faces a lot of the same challenges as it always has, because society is still facing the same challenges it always has, namely rampant inequalities of wealth, health and possibilities for a livable life. Sociology as a discipline is incredibly broad and in parts refreshingly progressive, but there are also parts of sociology that need to do more to address their male, white and middle-class foundations. For example, recently I was looking at a brand new ‘key concepts in sociology’ type book written by an eminent British sociologist and there were no female theorists listed in the index, and barely anyone else who wasn’t white and/or dead. I was a bit like, really? We can do better than this. This entry was posted in Uncategorized and tagged Francis Ray White, Staff profile. Bookmark the permalink.